I’ve said it before and I’ll probably say it again, but if there is a better way to start the day than with new music then I certainly haven’t found it. Though the individual members seem to be permanent fixtures of pop culture, Odd Future as a crew has been largely quiet in 2013. Their last collaborative release hit in early 2012, which we think is too damn long, and based on the track that arrived online early this morning it seems safe to say they agree. 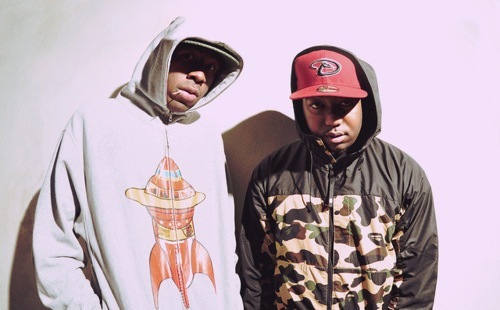 Debuting out of the blue well after the sun set, “Look” is a new single that features Odd Future members Tyler, the Creator, Domo Genesis, Earl Sweatshirt, and Hodgy Beats. The track harkens back to the wild, off the cuff feel of OFWGKTA‘s early work, with booming lo-fi production and lyrics that would turn a sailor red, but there is a sense of confidence throughout everyone’s delivery that speaks to their evolution as artists. You can stream the single at the end of this post. Earl Sweatshirt released Doris at the end of August, and from the sound of it there will be at least one more Odd Future release made available before the end of the year. We’ll continue to follow the crew’s activity and update as soon as more information becomes available.